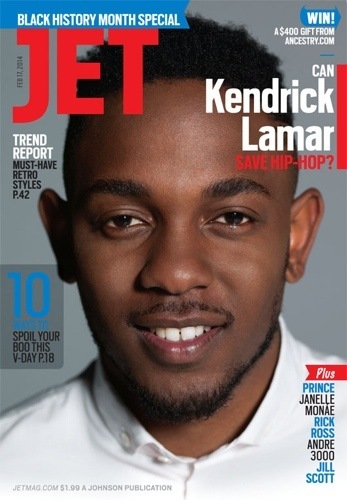 Three years ago Kendrick Lamar Duckworth had never traveled outside of the US. Two critically acclaimed independent albums, five Grammy nominations, and countless international shows later 26-year-old Lamar is a man of the world. Despite his limited time on mainstream media’s radar, Lamar’s footing in the rap game is by no means of toddler status. Best described as a dude from but not of, the ’hood, as a youth, Lamar walked the streets of Compton daily only to return to a two-parent household. There, his flair for creative writing was cultivated and morphed into a penchant for penning lyrics. By 15, Lamar was a raw lyricist that needed guidance to hone his talent. The rapper linked up with high school friend, now music executive, Dave Free, who introduced him to a burgeoning Carson, California-based independent record label, Top Dawg Entertainment. Named after CEO and music producer, Anthony “Top Dawg” Tiffith, and operated by Tiffith’s cousin Terrence “Punch” Henderson, TDE embraced the outspoken, contemplative prodigy and set the wheels in motion.